Thanksgiving is quickly approaching and I’m finally getting around to planning out my menu for the big day. I’m a little behind schedule, but this is the first year in quite a while we won’t have a large group of friends over for dinner; I’m still planning to make all of my usual go-to dishes, just in smaller quantities. I’m probably one of the few people who feels this way, but to be honest, I’d be totally content without turkey on Thanksgiving; I’d much rather load up on my favorite stuffing recipe, sweet potatoes, and my friend Sarah’s cornbread dish! Oh, and of course, dessert! 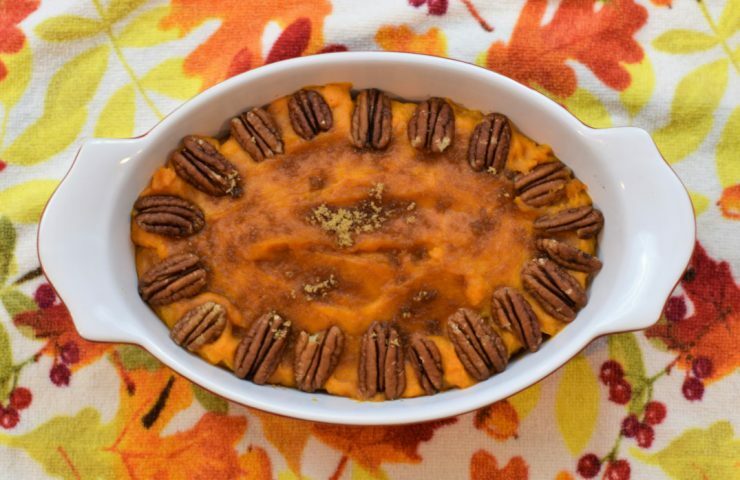 Typically most sweet potato dishes are loaded with brown sugar, butter, even more sugar, and topped with marshmallows. 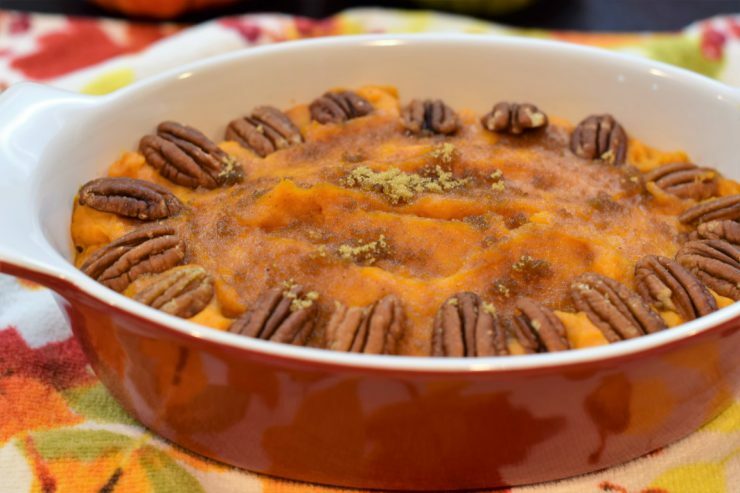 Don’t get me wrong – they are completely delicious in small quantities, but I prefer this healthier, mashed sweet potato dish, with a lot less sugar. Another perk about these sweet potatoes: they’re really easy to make, don’t require oven time, and can be made in advance. 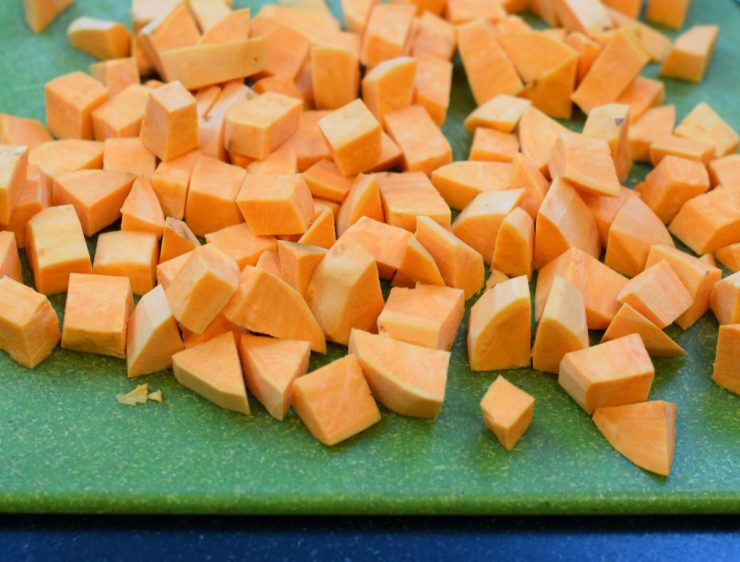 Begin by peeling two medium-sized sweet potatoes and dicing them into cubes. Transfer to a large pot filled with water. Bring to a boil over high heat, and cook until the sweet potatoes are tender, about 15 to 20 minutes. 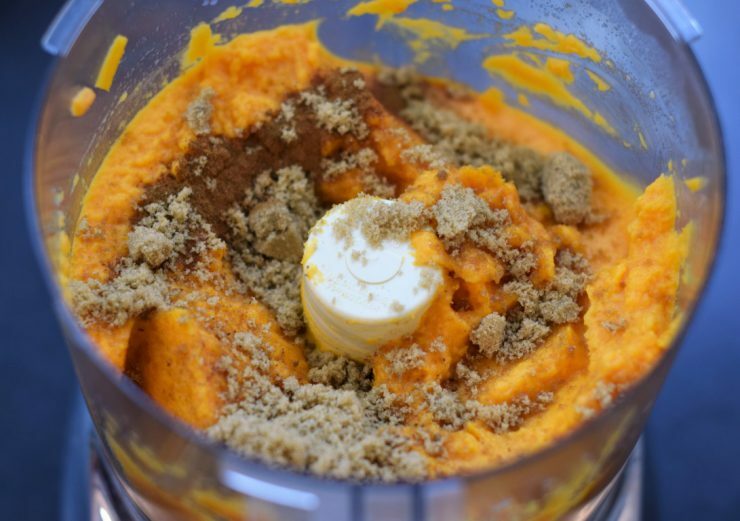 Once cooked, drain the sweet potatoes and transfer to a food processor or blender. 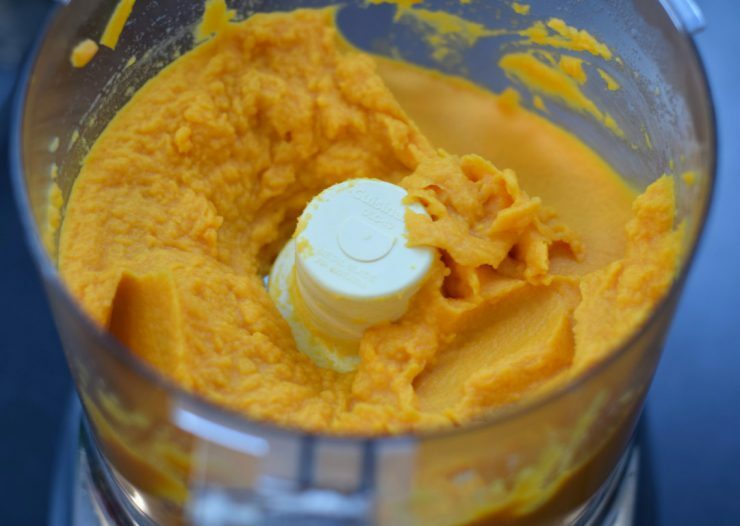 I prefer really smooth mashed potatoes, but you could also use a hand masher if you like! Add milk and butter, and pulse until smooth and combined. If the mixture is too thick, add more milk as needed and continue pulsing into smooth. Add in brown sugar, cinnamon, nutmeg, and cloves. Pulse until incorporated. Transfer the sweet potatoes to a baking dish. Add pecans, if desired, and sprinkle remaining brown sugar on top. Serve immediately! 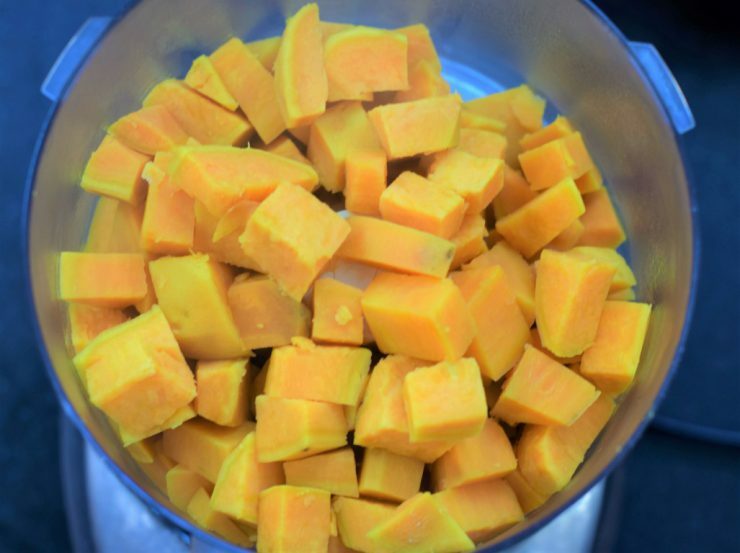 Peel sweet potatoes and dice into cubes. Transfer cubed sweet potatoes to a large pot filled with water. 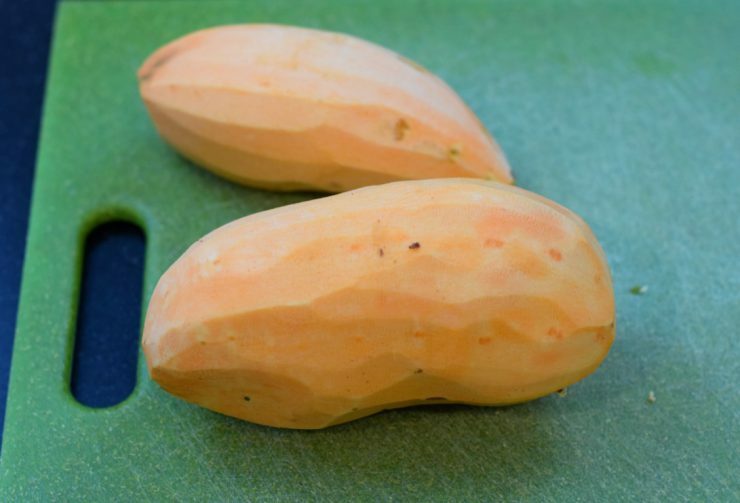 Bring to a boil and cook until sweet potatoes are tender, about 15 to 20 minutes. 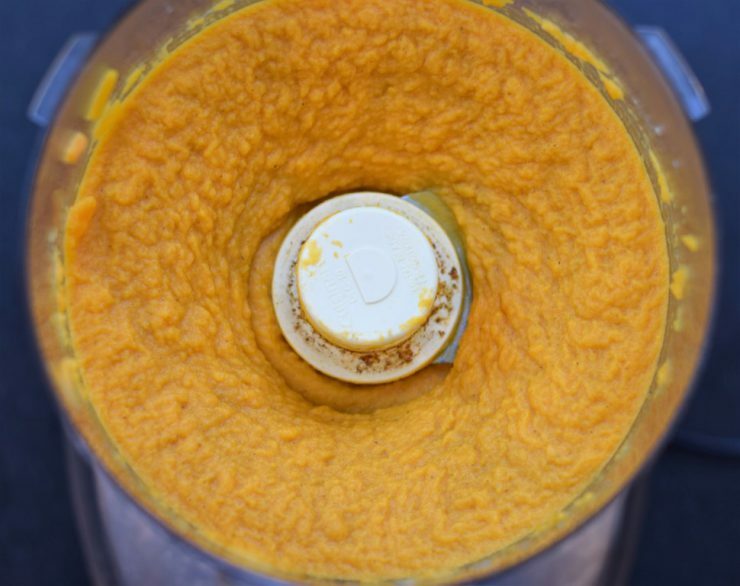 Once cooked, drain the sweet potatoes and transfer to a food processor or blender. You can also mash by hand in a large bowl if you prefer. Add milk and butter, and pulse until smooth. If the mixture is too thick, add more milk as needed and continue pulsing into smooth. Transfer the sweet potatoes to a serving dish. Add pecans, if desired, and sprinkle remaining brown sugar on top.